Please fill out the form below to download the free guide. By registering I confirm that I have read and agree to the Privacy Statement. Want to see Pardot in Action? Take it for a Spin! Headed to Dreamforce? So is Pardot! We are B2B Marketing Automation by Salesforce, and we're excited to help B2B Marketers get the most out of their week in San Francisco. This guide to Dreamforce will help you keep up with everything Pardot is doing at Dreamforce, including sessions, networking opportunities, parties and more that are meant just for you. 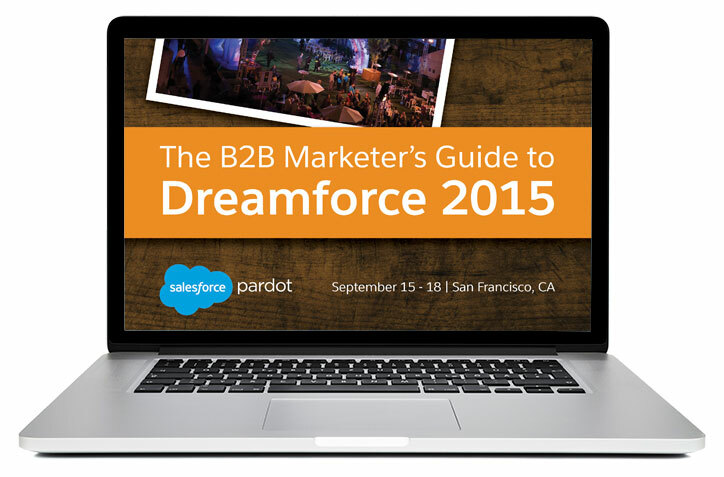 Download The B2B Marketer's Guide to Dreamforce 2015 and keep it close by as you plan your Dreamforce experience. We can't wait to see you there.